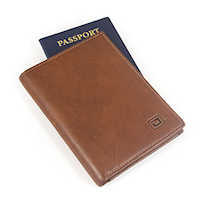 This highest quality, RIFD secure, leather passport wallet, has 6 card slots. Our smart, tabbed design allows easy insertion of your passport. There is also a compartment for bills or additional cards behind the card slots. 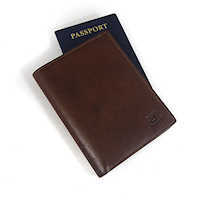 This exquisite travel passport holder is made of the most appealing Italian leather. A gift that is sure to impress.